Google Cloud Debugger can help you find the culprit in a few clicks. With no configuration required, simply select a line of code and let Cloud Debugger return the local variables and a full stack trace when that line is next executed – all without halting your application or slowing down any requests. 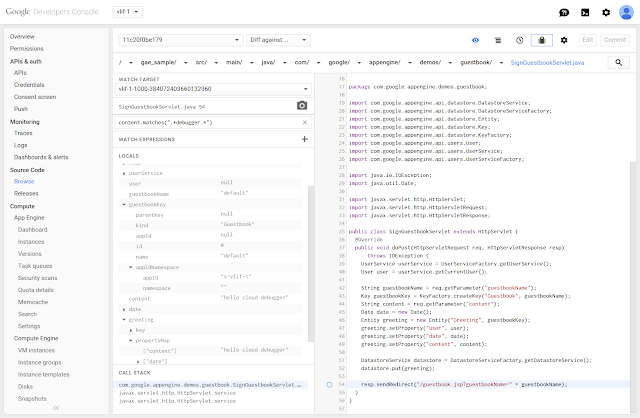 Last month we added support for troubleshooting Google Compute Engine projects with Google Cloud Debugger, and now you will be able to debug applications on Google App Engine as well. Cloud Debugger adds zero overhead on App Engine projects that aren’t being actively debugged. It also adds less than 10ms to request latency when capturing application state without blocking requests to your application. Cloud Debugger on App Engine is currently enabled for Java-based projects. Support for additional programming languages and frameworks is coming soon. As always, we’d love direct feedback and will be monitoring Stack Overflow for issues and suggestions. 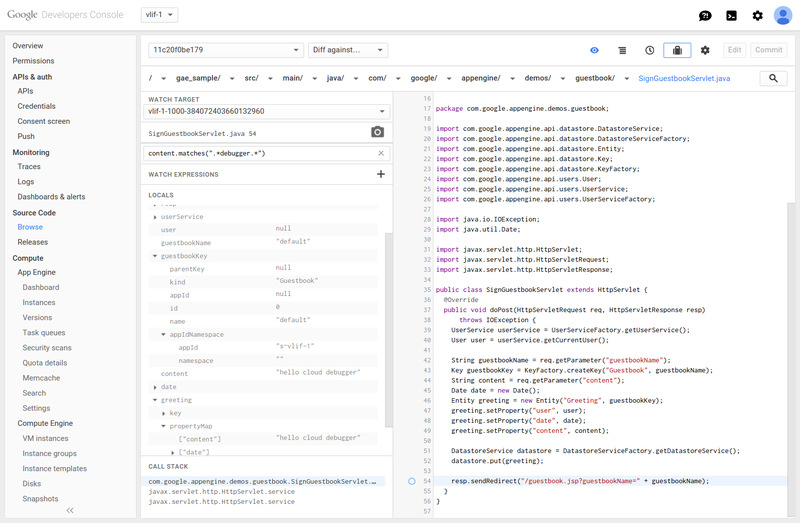 Want to try Cloud debugger for yourself? Sign up for a free trial of Google Cloud Platform today and get $300 in credit to spend over 60 days. Having trouble tracking down a bug in production when time is of the essence? Google Cloud Debugger can help you find the culprit in a few clicks. With no configuration required, simply select a line of code and let Cloud Debugger return the local variables and a full stack trace when that line is next executed – all without halting your application or slowing down any requests.